Increase plant growth up to 150%. Eliminate training the vine to the wire. 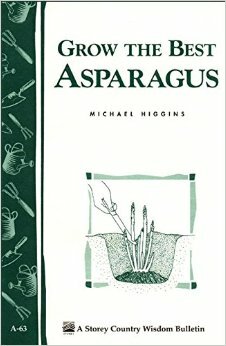 Bring in the first crop up to a year early. 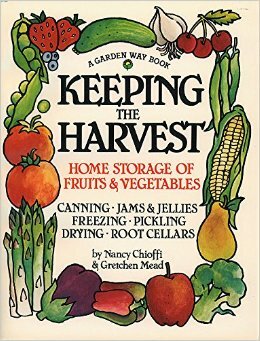 Increase the yield of that first crop. Protect the young vines from the drying and mechanical damage caused by the wind. Protect young vines from rodents, rabbits and other herbivores. Protect vines from chemical sprays. 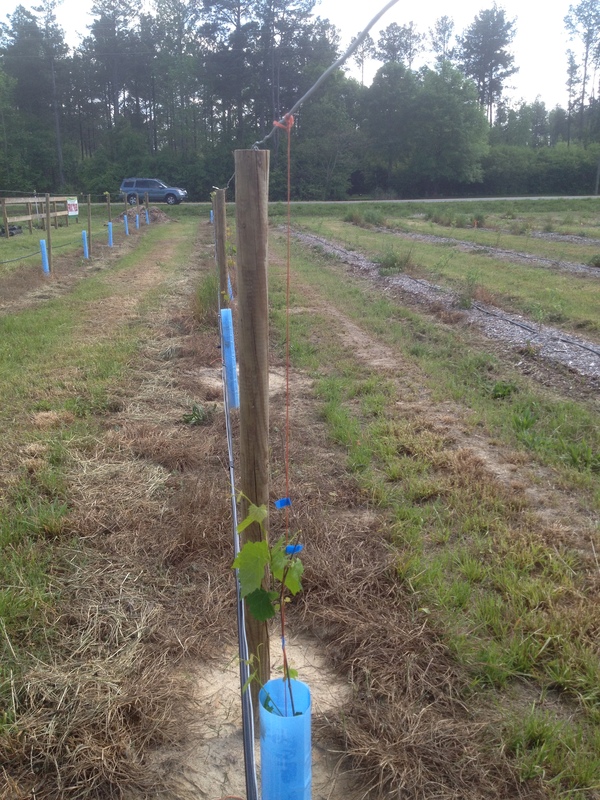 Use BLUE-X Grapevine Shelters to create a beneficial microclimate for each grapevine. The increased humidity and carbon dioxide levels in the growtubes accelerate plant growth and enhance vine survival. 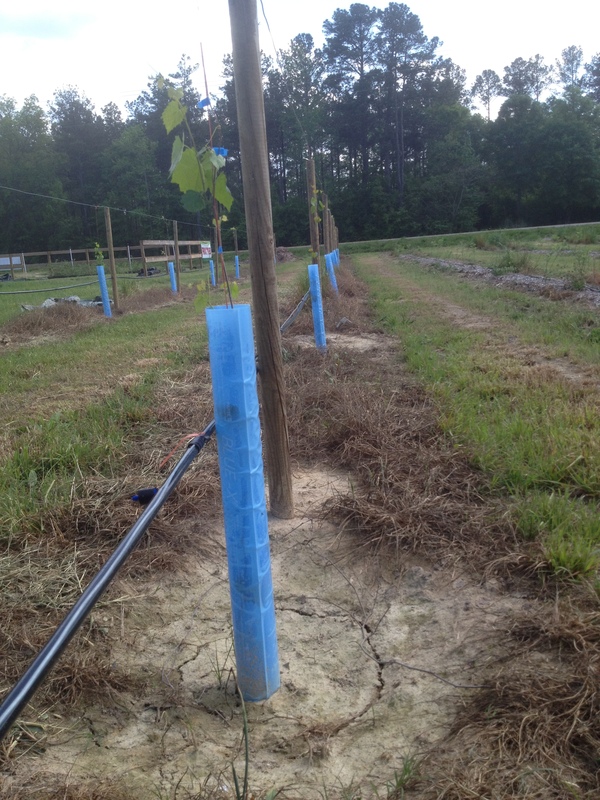 BLUE-X Grapevine Shelters come in 30″ height which we find ideal for new muscadine plantings. All Grapevine Shelters are 3.5 inches (9 cm.) in diameter. 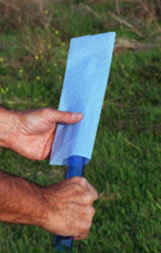 BLUE-X Grapevine Shelters, a partially post consumer recycled product, are fabricated from a transparent blue tinted polyester film (PET), (PART-A). This blue film admits up to 100% more photosynthetically active radiation (PAR) than opaque polpropylene. PAR is the part of the light spectrum most used by plants. 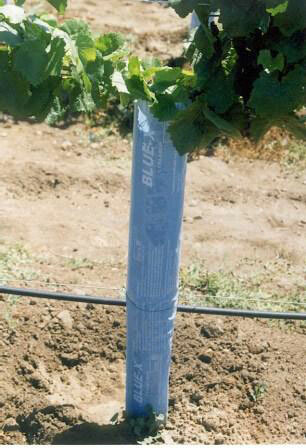 Use BLUE-X to increase the diameter of your vines! We offer the only shelter on the market today that takes advantage of beneficial blue light! 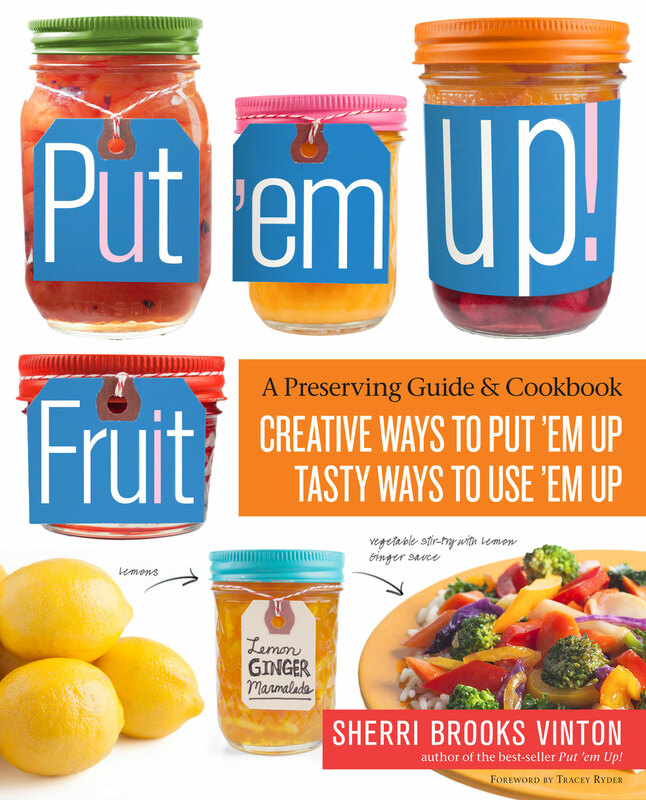 Put’em Up! 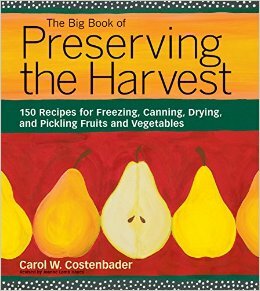 FRUIT Book – All you need to know for preserving fruits!